Chicago police arrested a suspect Tuesday in the death of a toddler whose dismembered remains were found in a lagoon last year, BuzzFeed reports. Kamel Harris, 41, is accused of killing 2-year-old Kyrian Knox because the child would not stop crying in pain after drinking some milk. Harris was caring for the lactose intolerant toddler at the time of the incident, Chicago Police Cmdr. Kevin Duffin said at a press conference Tuesday. Harris will be charged with first-degree murder, according to the report. Kyrian's body parts were recovered from the lagoon in Chicago's Garfield Park over the Labor Day weekend last year. The toddler's foot was recovered first, then investigators found more body parts, including the child's severed head, and a weight used to sink the body. Police zeroed in on Harris after discovering blood in his car that matched the toddler's, authorities said. Several witnesses also came forward in the case, Duffin said, according to BuzzFeed. 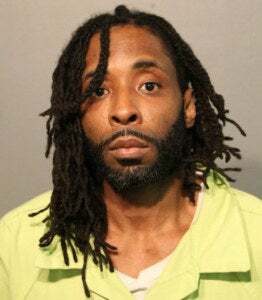 Kyrian's mother, 24-year-old Lanisha Knox, said that she had left the boy with Harris while she was moving from Rockford, Ill., to Cedar Rapids, Iowa. Harris reportedly made a false report to the Rockford Police Department, saying that the child had gone missing. He later acknowledged that he had disposed of Kyrian's body in Garfield Park. Kyrian's exact cause of death remains undetermined, Duffin said.